Whenever you put yourself on one side or the other of a controversial issue, there are assumptions automatically made of you. It's just the way we (as humans) work! I have been unable to keep quiet about my stance on the "Common Core" curriculum, also known as "education reform". Since sharing my opinion on the matter, I have heard several assumptions about WHY I'm on the ANTI side of the fence, which have offended me. 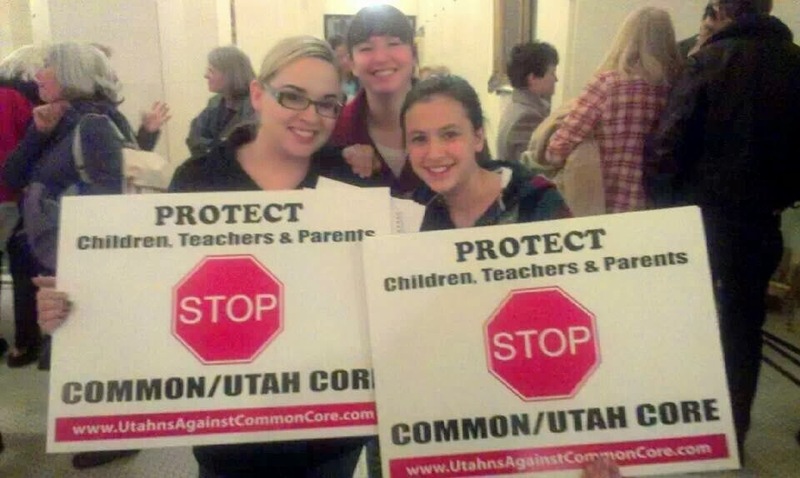 Let me just start by addressing these; tomorrow I will write about the ACTUAL Common Core issue. Assumption #1: I am choosing to affiliate with a particular political party. Sorry guys. I'm still not going to start sporting the ... what is it? elephant? donkey? Nope, I'm still a freak of nature who doesn't claim a party. Believe it or not, there are people on BOTH sides (and on no side at all!) who strongly oppose the new curriculum. Assumption #2: I'm afraid my kid isn't smart enough for the new "standards". I won't even bother defending my kids' intelligence, as that is obviously not an issue, and insulting to me besides. The issue with the new material is not how "high" the standards are, but how low they are, and HOW SECRETIVE THEY ARE. My #1 issue with CC is not that my children will have to work harder, but that they will be taught out of text (and on tablets) I AM NOT ALLOWED TO SEE, and tested with TESTS I, AS A PARENT, AM NOT ALLOWED TO REVIEW. These things are so secret not even all the teachers are being allowed to view them. Teachers, board members, and other educators understand so thoroughly that this secrecy is wrong, many of them are willing to lose their jobs in order to inform the parents of what's going on here. It's not just parents who are opposing this! Even the ones forced to teach it are afraid of the direction it's headed. Give me a little credit; I am intelligent enough to form an opinion based on something a little bigger than fear of my child not "measuring up". Assumption #3: I'm just one of those crazy home-school fanatics, who wants an excuse to be lazy and not take my kids to school. Let me first say that I have seen first-hand that home-schooling can be a huge success. There are DEFINITELY circumstances in which pulling a child out of school to educate them in their own home is to their benefit. HOWEVER, I am not home-schooling my children, and I am certainly not looking for a reason to be unhappy with the school system! I'm a very busy mother of three, with very little time and energy to devote to something like protesting for no good reason. There are very few things that will get me riled up like this, and if my child's education isn't good enough reason to get riled up, WHAT ON EARTH IS? Assumption #4: I'm being brainwashed by propaganda. There are real, serious concerns here, and it's not just something to whine about. WHOEVER CONTROLS THE EDUCATION OF THE CHILDREN CONTROLS OUR NATION'S FUTURE, do they not? The issue of who holds the reins in education is no small matter. wondering what happened to my comment?? ?